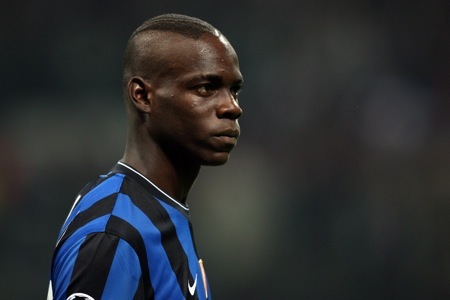 According to La Gazzetta dello Sport, Inter striker Mario Balotelli has agreed to sign for Man City, for around €30m. Balotelli had leaving party at Milan’s Van Gogh café on Via Bertani on Saturday evening. La Gazzetta also claims Super Mario has signed a four-year deal worth €4m a season. Balotelli has huge potential but he’s also a hothead and a run of games on the bench – which will happen -is likely to set him off. This will not end well, I feel. A training-ground clash with Craig Bellamy is imminent – if Bellamy stays. Do you think he’s a good signing for City? I think he didn’t like Jose’s tactics but I think he’ll really focus under Mancini. With all the other talent City is bringing in/plan to bring in…it’ll be a good signing in the long run.